Cantilevered seat constructed with 2" Schluter Kerdiboard. 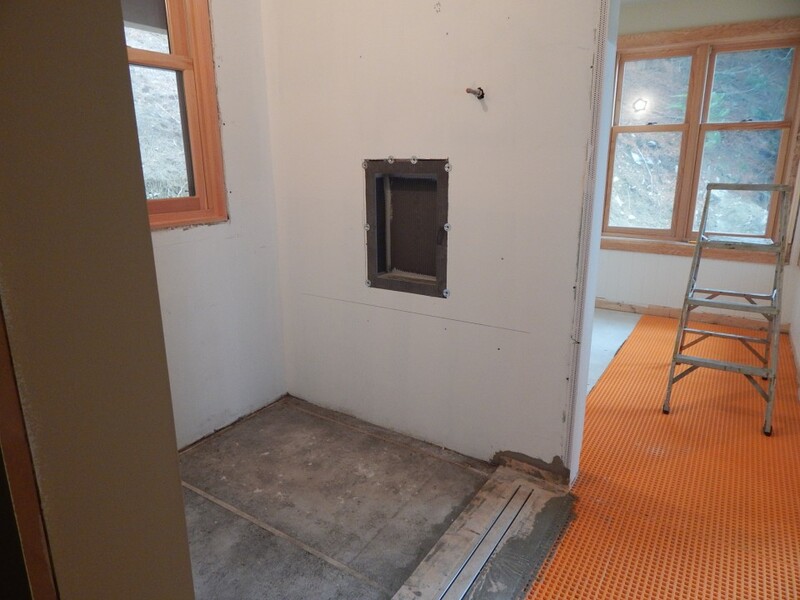 Schluter Rondec edge trim on seat and shower niche. Shower stall ready to waterproof. 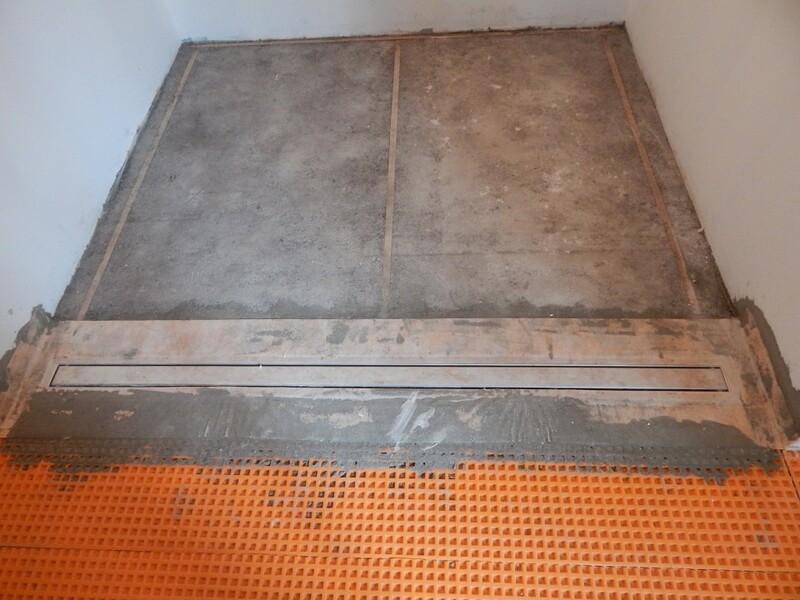 Shower mortarbed and Tile able Schluter Linear Drain. Fully waterproofed shower stall ready to tile. 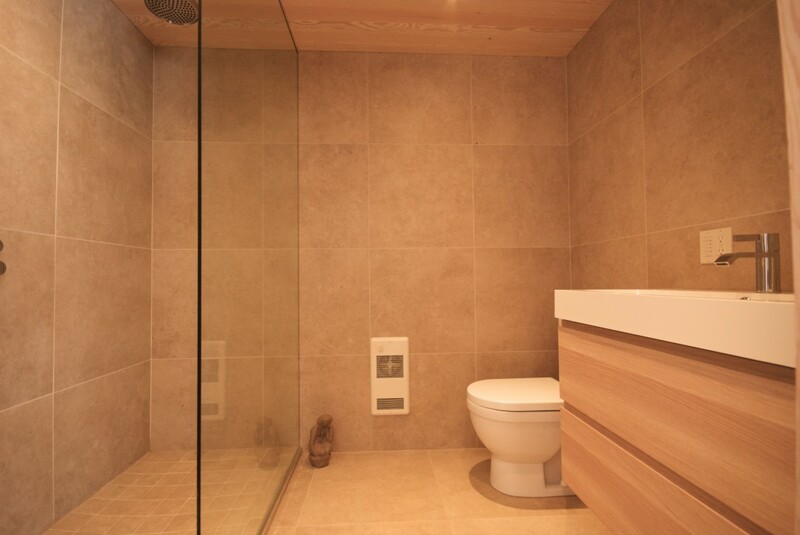 This elegant Curb-Less Walk-In Shower is spacious and luxurious. 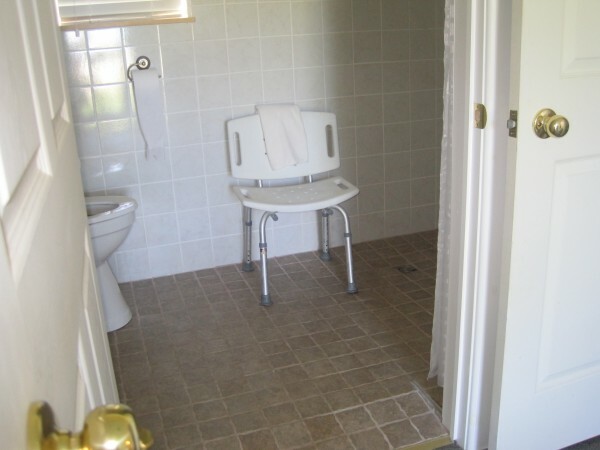 It is also very comfortable because the whole house including the shower floor is equipped with hydronic heating. 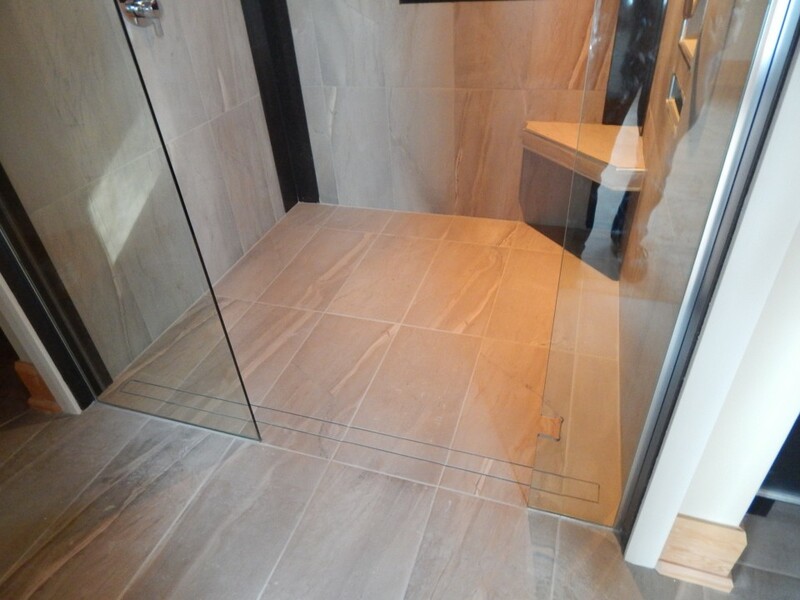 The large format tiles and thin grout lines make it easy to maintain and the absence of a curb makes the entrance into the shower easy. 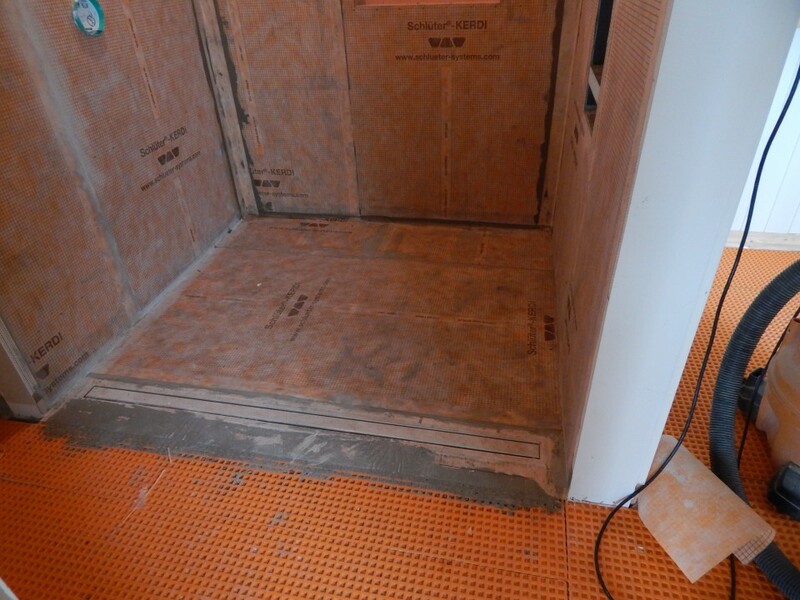 The floor of the shower slopes from the back wall to the Schluter linear drain at the shower entrance. 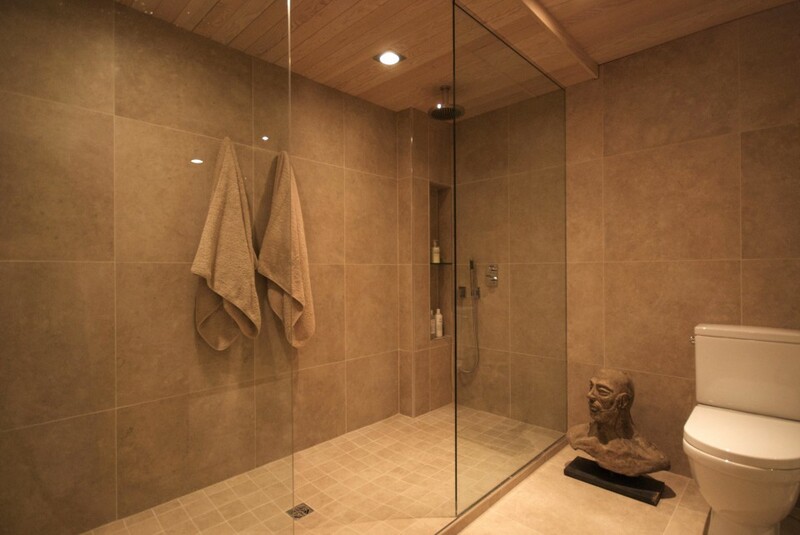 Home owners who plan to stay in their home as they age should seriously consider shower designs of this nature. 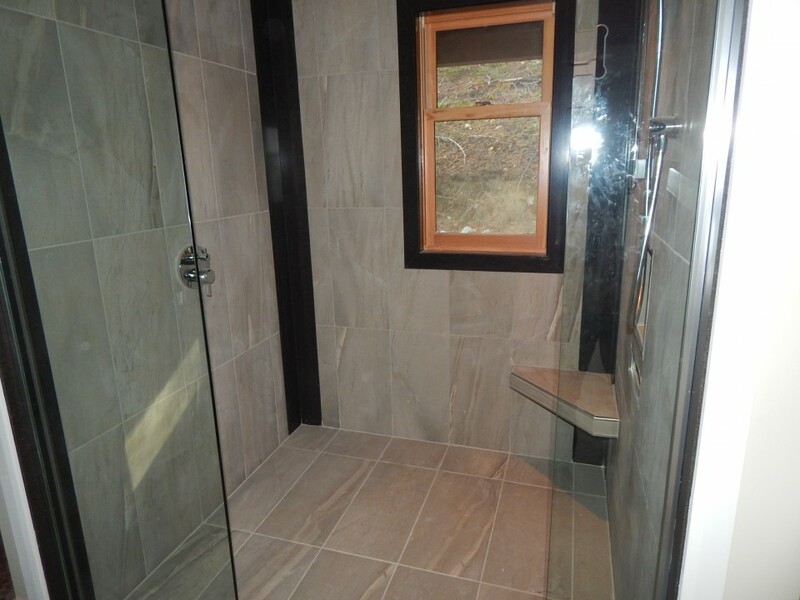 The shower base was constructed with dry-pack mortar and water-proofed with Schuter Kerdi Cloth. 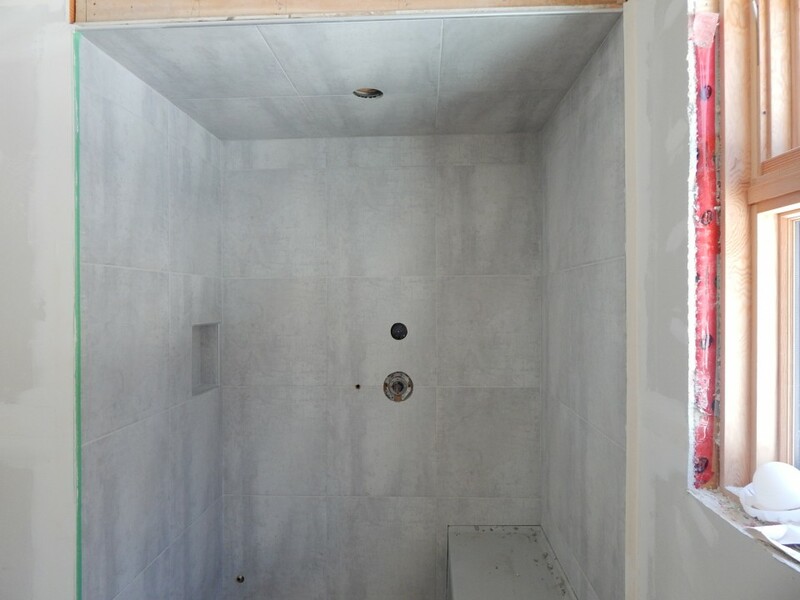 The shower walls are drywall and water proofed with Kerdi cloth. 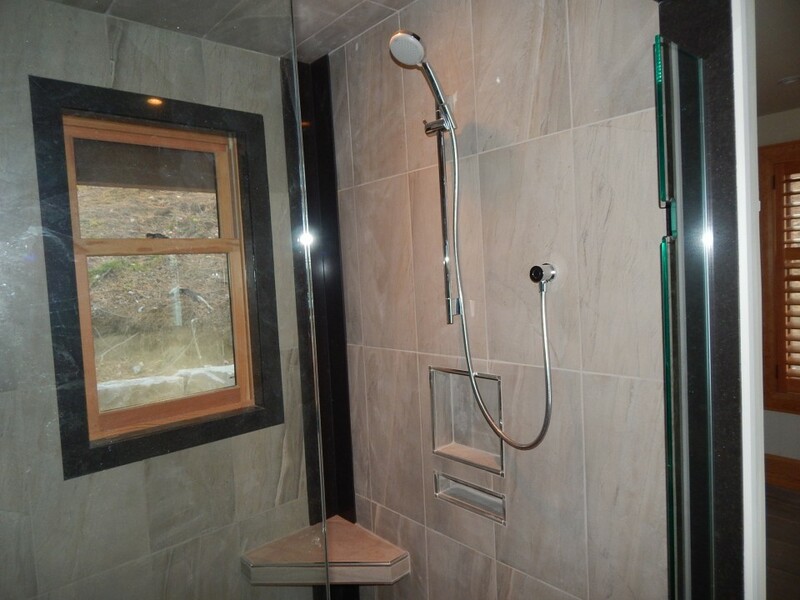 The 18″ x 12″ Shower Niche was sourced from Wedi. 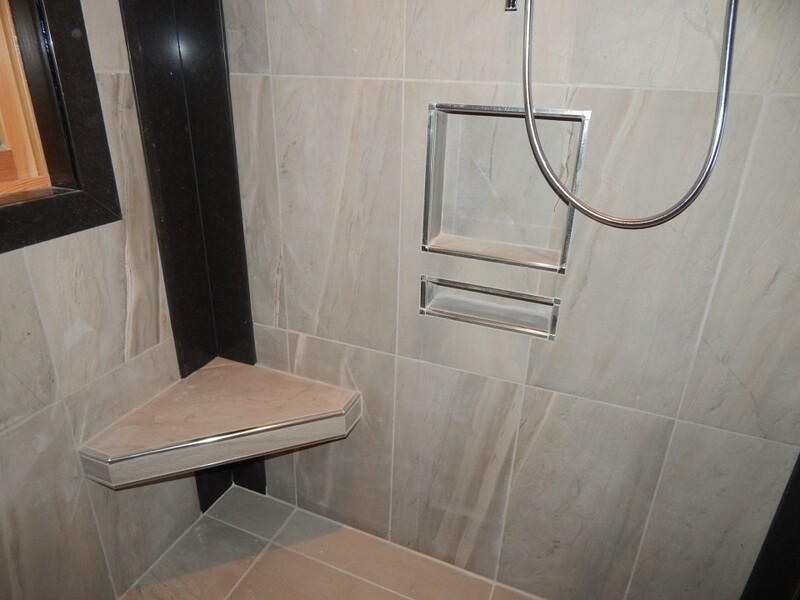 We like to use Pre-manufactured shower niches from Wedi or Schluter because they are great time savers.